H.E. Ambassador Philippe J. Lhuillier (center) hosts the 5th Annual Meeting of the Embassy with its eleven (11) Philippine Honorary Consular Officers in Spain and Andorra. H.E. Ambassador Philippe J. Lhuillier met with the Embassy´s eleven (11) Philippine Honorary Consular Officers in Spain and Andorra last 13 June 2017. 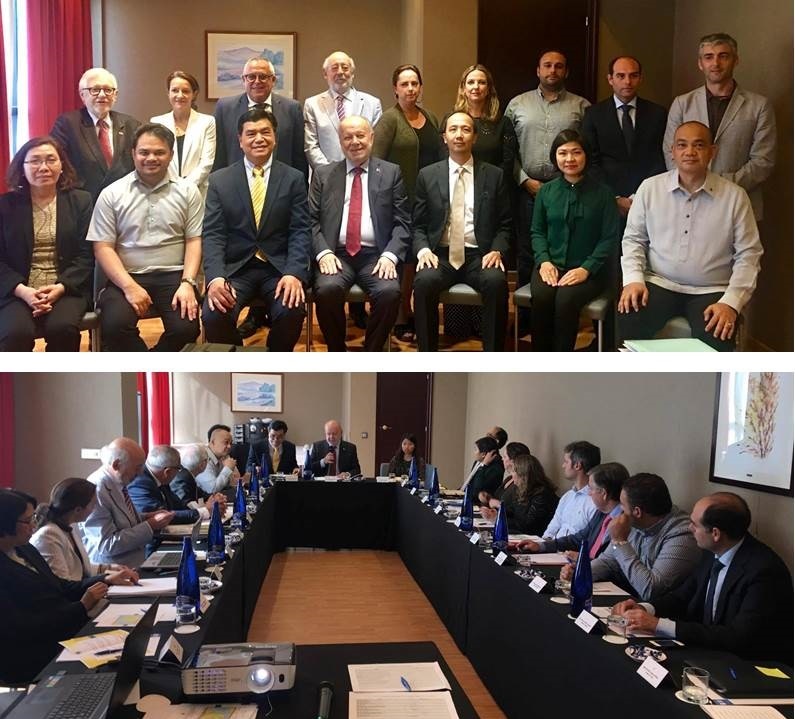 Honorary Consular Officers from Andorra la Vella, Barcelona, Bilbao, Cadiz, Las Palmas de Gran Canaria, Malaga, Palma de Mallorca, Sevilla, Santa Cruz de Tenerife, Valencia and Vigo were all present during the annual meeting. In his opening message, Ambassador Lhuillier laid out his goals, plans and specific direction as he leads the Embassy towards a more dynamic and results-oriented cooperation between the Philippines and Spain. He emphasized that his immediate target is to put the bilateral relations of the two countries on “ on the radar”. The Ambassador, who officially met the honorary consular officers for the first time, encouraged them to be one with the Embassy in achieving this goal. He emphasized the “one country-team approach” wherein everyone should be working towards the same target. Ambassador Lhuillier challenged each honorary consular officer to perform beyond what is expected. While he applauded them for their respective roles to protect the interests of Filipino nationals in their respective jurisdictions, he also highlighted the importance of “economic diplomacy” in their functions. He promised that the Embassy will do its part to provide them with appropriate information and support. 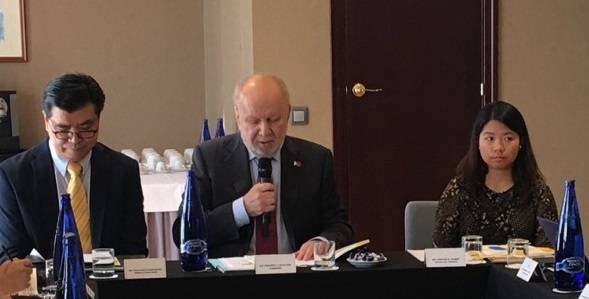 In connection with this particular mission and vision of the new Ambassador, this year´s meeting with the honorary consular officers was conducted differently. Each of them was requested to present their accomplishments, work plan for the next two years, and their suggestions on how to further improve and sustain their achievements. As a result, the honorary consuls and consuls general provided interesting discussions, insights and recommendations, which would be very useful in structuring the final strategic plan of the Embassy. Minister and Consul General Emmanuel R. Fernandez facilitated the discussion on the duties and responsibilities of the consular officers where a matrix was presented specifying their duties, operational tasks, frequencies of said tasks and their corresponding deadlines. The discussion covered guidelines and requirements on communication channels, financial, administrative, consular, political and cultural concerns. The meeting ended with all the honorary consular officers agreeing to sign the “Pledge of Commitment” to implement and/or abide by the tasks, frequencies and deadlines stated in the matrix. 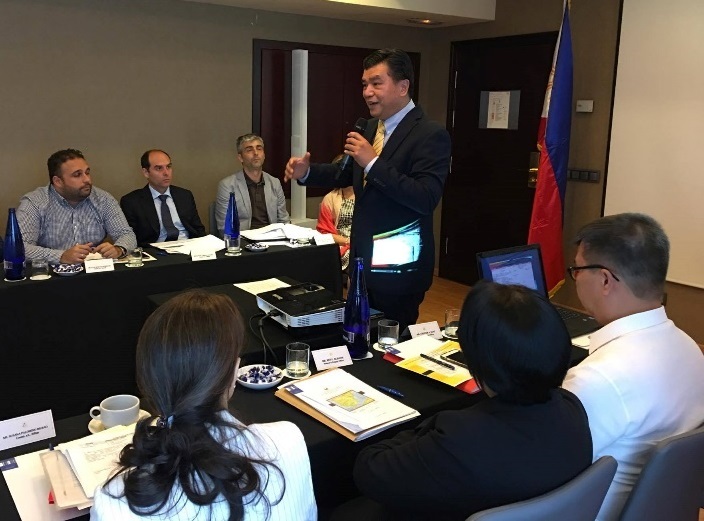 Also present during the meeting were Consul Gerardo P. Abiog, Consul Mary Luck S. Hicarte, Vice Consul Ralf G. Roldan, Armed Forces and Military Attaché Col. Romulo A. Manuel, Jr. PA, Labor Attaché Joan Lourdes D. Lavilla, Welfare Officer Nesa Nolido, Administrative Officer Chester A. Diaz, Finance Officer Elenita V. Fraxidio, Property Officer Rex F. Albania, and Ms. Cristine R. Barbo who served as translator and interpreter.